NEED PROTECTION FOR YOUR EQUIPMENT? 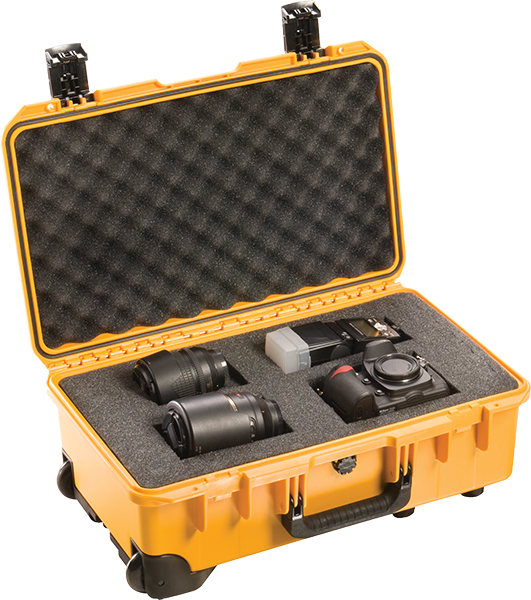 Built to the highest standards, Peli Storm Case™ is a tough range of IP67 certified, injection moulded cases. 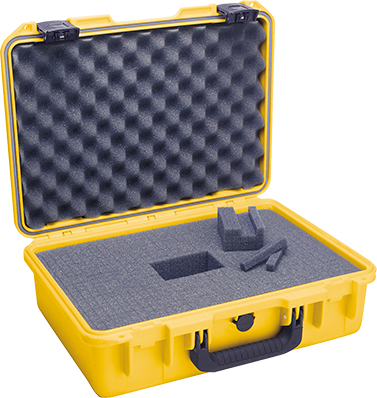 Made with high performance lightweight HPX™ resin, these impact resistant equipment cases are extremely durable even at very low temperatures. No matter the size or shape, there's a Peli Storm Case for any kid of sensitive equipment. 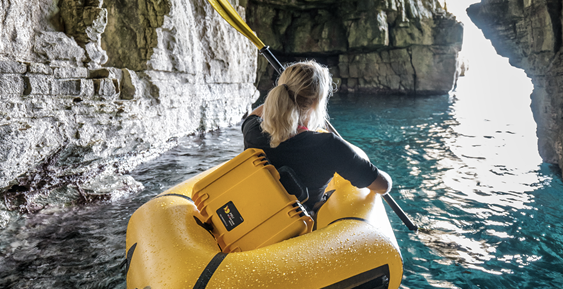 From small waterproof cases for delicate equipment, such as cameras or defibrillators, to big sized cases with wheels for easy of transport, to deeper sized cases to house drones. 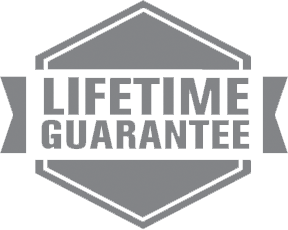 Manufactured in the US, Peli Storm protective cases have been designed to meet military standards MIL-STD-810F and FED-STD-101C, as well as airline supplies packaging standard ATA 300, and are covered by Peli's Legendary Lifetime Warranty. Protection from shocks, heat, dust and chemicals is imperative when it comes to protective valuable engineering and maintenance tools, such as pressure gauges, tachometers, calibrators and data logging equipment. 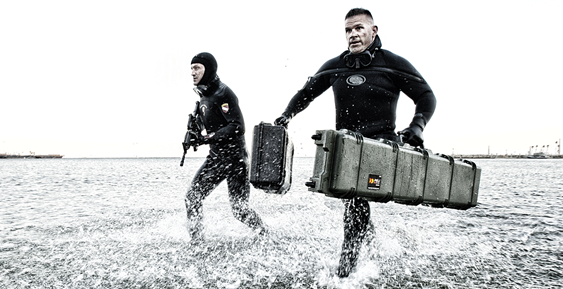 Peli Storm cases offer all that and more! The cases can also be customized into a reliable, ready-to-ship enclosure for electronic installations and many models can be adapter for use with electronic interface panels by using a bezel kit. 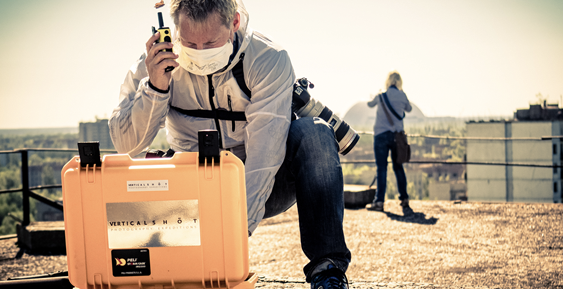 Peli Storm cases are constantly tested by professionals under the toughest conditions on earth and are the trusted choice to accommodate all kind of sensitive laboratory equipment, scientific tools, analytical instrumentation and heavy-duty communication systems. The customizable interiors of a Peli Storm protective case will ensure your vital equipment will arrive fully operational. Peli Storm cases have passed the strictest Military tests MIL-STD-810F, FED-STD-101C, as well as ATA 300. On set or on the go, you can rest assured your valuable photographic or electronic equipment will be extremely well protected inside a Peli Storm case. The different internal configurations will allow you to create snug nests for your sensitive cameras, flashes or lenses and the optional lid mesh pockets are the perfect organizers for cables and cords. 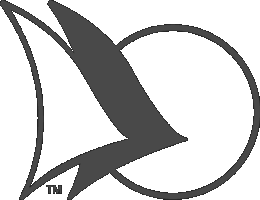 The deeper sized models are perfect to house all kind of drones. With its silent Press & Pull latches and its smooth rounded design Peli Storm Cases are preferred by professionals working in fashion or wildlife photography. A wide range of ATA compliant hard cases, will allow you to travel safe with your gear, no matter what! Not only do we have the right case for travellers to protect sensitive electronics, such as laptops or tablets, we also offer waterproof (trolley) cases to protect larger equipment during extreme adventures. The Vortex® pressure release valve will make sure your case stays clean in the Gobi Desert and dry on the Nile river. This unique latch system opens with the push of a button but stays securely closed under impact or stress. 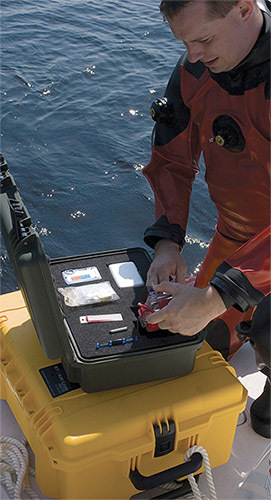 Peli Storm Case™ lightweight HPX high-performance resin, resist impacts even at low temperatures. Shielded from dust and dirt, ball bearing wheels provide low-friction, low-drag rolling with retractable handles for easy movement. The secret of the watertight seal of Peli Cases is the tongue-and-groove fit with a polymer o-ring. Unbreakable moulded-in hasps allow you to add standard size padlocks, offering another measure of security. The corners of a Peli Storm Case™ deflect and absorb impact, dispensing kinetic energy throughout the case to ensure contents remain safe drop after drop. Tested and proven strong, these double-layered comfort grips withstand heavy loads. Embedded Vortex™ valve automatically adjusts air pressure without letting water in. Interior protection is available through different types of systems, which will allow you to adapt the interior according to the shape of your equipment. You’ve always trusted Peli™ to protect your sensitive gear Now with our exclusive TrekPak™ system you can kit out your case with the precision your equipment deserves. TrekPak™ is available as an accessory for a selection of Peli Storm Cases™ - iM2200, iM2300, iM2400, iM2450, iM2500, iM2600, iM2620, iM2720, iM2950. The TrekPak system uses pre-installed wall sections, divider panels, locking pins and an infallible cutting tool. Just lay your gear in the case, measure and cut the divider sections and lock them in place with the steel U-pins. We include extra divider material so you can change your mind, plus divider panels are also available separately so you can reconfigure your dividers anytime. All Peli Storm Cases, except iM3100, iM3200, iM3220, iM3300 and iM3410, come standard with the exclusive “Pick N Pluck™” foam. This foam is pre-cut into small cubes of 1 cm, allowing you to easily pluck away the cubes to fit in your device. A very simple and effective way to customise the interior of the case according to the shape of your equipment. For exceptionally fragile or expensive equipment, Peli also offers custom-cut foam, create based upon the CAD drawings and the characteristics of the item that needs to be protected. The correct foam must support the mass load and still cushion sensitive equipment from impact forces. There are numerous foam properties that influence foam selection from anti-bacterial foam, which is helpful for preventing mould growth in humid environments, to anti-static foam which protects delicate electronics. An alternative to organising your supplies and equipment inside your Peli Storm Case is our optional Padded Divider Sets available to most cases. Made of durable nylon and foam. Extremely versatile: you can change the sizes of each compartment as necessary, thanks to the almighty Velcro®. 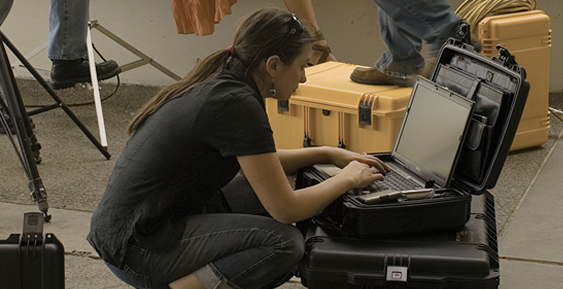 Peli Storm cases have evolved over the years to accomodate the needs of electronic engineers and their OEM projects. Injection moulding provides a reliable, durable, ready-to-ship enclosure with consistent dimensions. The co-polymer matieral can be machined and drilled, and also files and sands well. These properties make the Peli Storm Case well suited for customisation such as mounting bulkhead connectors, while maintaining a clean, professional appearance. 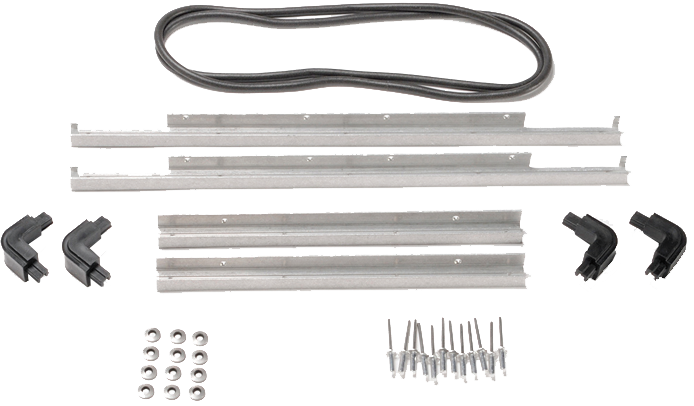 Attaching equipment to the interior is equally simple by use of typical fasteners and mounting hardware. The hardware can be made watertight by use of small o-rings, rubber washers or silicone. 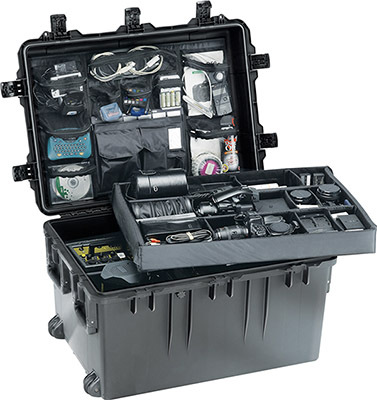 A selection of Peli Storm cases can be adapted for use with electronic interface panels by using a Bezel Kit. Pre-drilled holes and stainless steel screws make fabricating a custom case a fast and accurate proposition. A polymer o-ring seals the panel so the base of the case remains watertight, even with the lid open. The interior of the lid is also commonly used to attach accessories such as wiring race, device holster or Peli's optional lid organiser sets. 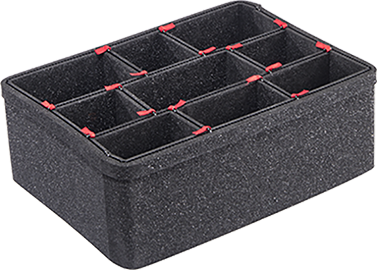 Select larger cases offer a mounting bosses inside the lid for use with screw fasteners.